Before Paco Rabanne, Paris, October 2015. 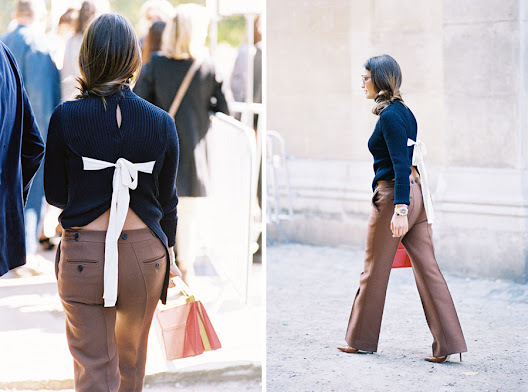 Celine backless sweater + gently flared pants. Mmmmm I am not sure who makes that lovely bag.....I will report back here if I find out for you!